We took and old brown desk and upcycled it into a white and blue table. 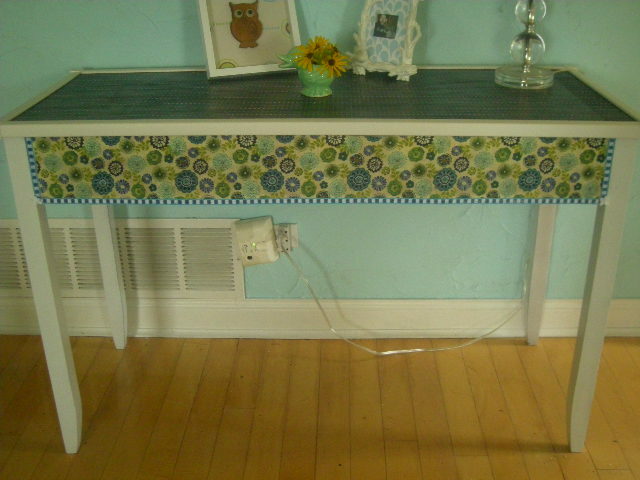 First we lacquered it in white, then modpodged with coordinating fabric and glued on trim. All for under $50. Sweet.